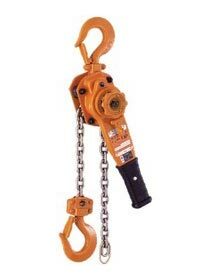 Widely recognized as a Supplier, Exporter and Importer of Manual Hoist (KITO LB Series), we provide nothing short of perfect quality. We offer protective packaging and our quality is popular across many countries. In order to make sure quality of this system our team of experts tests this system on different parameters in order to deliver high quality product range. It is easily offered in reasonable price to our buyers.